Audio specialist PURE has announced it is to revamp its range of compact digital radios with the PURE ONE Mini Series II UK release date confirmed for September. 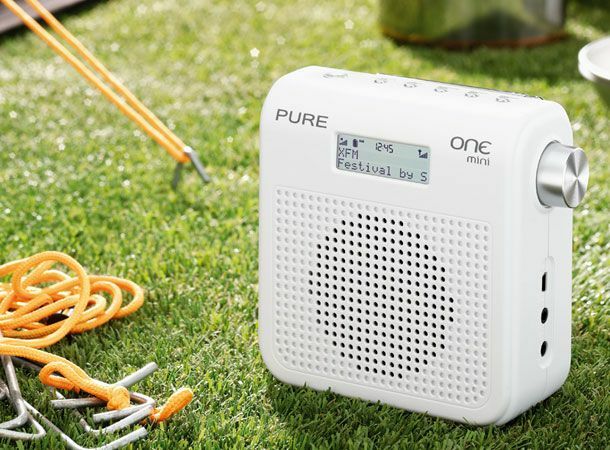 Following on from the original PURE ONE Mini the Series II boasts both FM and DAB radio capabilities with 16 channel presets, headphone port and the ability to be used as a speaker for iPods or other PMPs all packed within its compact form. Set to launch in both black and white colour forms with a satin touch finish the PURE ONE Mini Series II is to support 20 hours of portable audio when partnered with the optional PURE ChargePAK B1 allowing users to transform the minimalist DAB radio into a travel companion. With a PURE ONE Mini Series II release date confirmed by the audio firm for September the revamped DAB offering is to land with a price tag as compact as its form factor lining up at just £49.99. When it comes to digital radios assuming the sound quality is there, does size matter? Let us know what you think via the T3 Twitter and Facebook feeds.